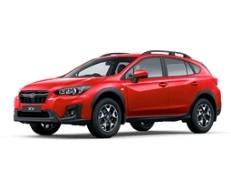 Correct Wheel Sizes, PCD, Offset, Rims and Tire specs for Subaru XV series. Hi there i have an impreza 2014 model premium wagon raised 1'' inch would the wheel and tire size for the equivalent in cross trek fit my vehicle. Hi,darren,it increase the width or diameter ?for wheels or for tires? just wondering if the 17/7 by 5x100 with offset of 48 with 225/55/17 tires that the crosstrek has from factory fit, on my impreza 2014 model now that i have raised it up by 1 inch? 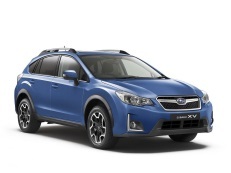 I am about to purchase a 2016 Crosstrek. Hate the rims. Love the imprezza rims from 2014. Would they fit ? I have Subaru XV 1.6 with original tire size 225/55/17. Could i replace with new tire size 255/50/17? Hi,Thabet Adel Hashim,Yes,it can fit for. I have a 2017 Subaru Crosstrek with 225/55R17 all seasons. I would like to know if a 16" rim is available and what tire size specs do I need for winter tires? Hi,Kevin Cesare Corti,Normally,The max offset(et) error is +-5mm.So,I think et 55 is little bigger,But you can try it.